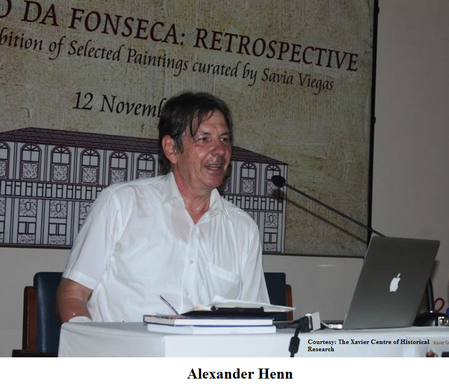 German Anthropologist Alexander Henn spoke at the Xavier Centre of Historical Research, Porvorim, about his fascination with the existence of a cross cultural climate in Goa and its depiction in his book Hindu-Catholic Encounters in Goa: Religion, Colonialism, and Modernity. As a cultural anthropologist, his interest in the effects of the cultural differences, how they can be constructive and how they can be challenging, how they work between people and so on, is completely satisfied by the cultural diversity that is present in Goa. 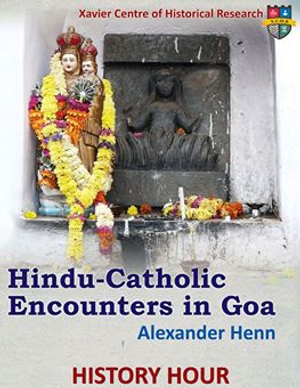 With its historical and cultural connections with Portugal and other European countries, and the presence of Hinduism and Catholicism existing side by side, Goa is an extremely potent region for anthropological studies. Henn’s focus while researching his book was the effect of religion on cultural diversity. He says, ‘One of my findings in the book is that I discovered over the years I was studying something surprisingly unexpected, in the sense that commonly religion is taken to be a very strong marker of differences between people. This is something that you find highlighted particularly if you go through the scholarly literature that I have studied.’ Oriental studies, for one, makes distinct demarcations on the basis of religion. In an age where one witnesses the revival of religious fanaticism, it shows that religion is a marked indicator of identity. Nevertheless in Goa it is a different story with religion contributing to some sort of cultural ambiguity. There are no clear lines drawn as seen in 16th century sources and ethnography and there seem to be two different versions of identity rather than just one. In the first chapter of Henn’s book, which is called ‘Vasco Da Gama’s Error’, the great discoverer is shown as having mistaken a temple for a church and an idol of a Hindu goddess for a representation of the Virgin Mary on his arrival in India. Henn contends that it was not a temporary error or an air of tolerance that gave rise to Vasco Da Gama’s perception of religion in this new land, but the inability to conceive an opulent culture, as seen in India, not being related to Christianity or a distorted form of it. If it was not a part of Christianity, then is was the work of the devil. This is obviously the result of being unable to consider the existence of more than one religion, especially one apart from ‘nossa santa fé’. The continuity of uncertainty of religious differences persisted even while there were violent attempts to make them clear. In the between 1540 and 1560 there began a large scale destruction of Hindu temples, shrines and images, and in their place rose Catholic churches, chapels and statues. However, the iconoclastic destruction gave power to the very images, icons, etc that the Portuguese were intent on decimating. The worship that arose from this significance attached to the images under attack was disconcerting to the Church authorities and eventually gave way to the Inquisition in Goa. To understand this syncretism, we have the example of the statue or icon of St Anthony, who is depicted strangling a snake in the church dedicated to him in Siolim. The legend is that when the church was being built in 1600, a snake began menacing the workers and was found strangled by the statue of St Anthony after it was placed at the site by Franciscan friars. The Hindus see the snake as a representation of their god Vetal (Shiva) and recall that the church dedicated to St Anthony was once the site of a temple of Vetal. The idol, however, survived because it was taken to Palle (Bicholim). Not only do Hindus go to pay homage to this statue today, but some Catholics do so too. Furthermore there are Hindus who express a devotion to St Anthony and visit the church in Siolim, even receiving Holy Communion which they equate with their ‘prasad’ (the food ritually offered to god). The innate indistinctness of religion seems to facilitate cohabitation, co-existence, collaboration, and so on. 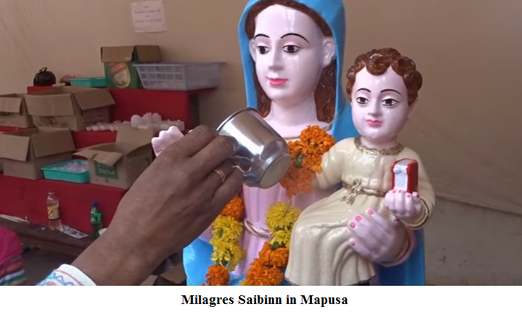 The Catholics can be found making offerings at Hindu temples (Shantadurga in Fatorpa) and the Hindus are drawn to the Milagres Saibinn in Mapusa, who they consider one of the mythological ‘Seven Sisters’ (collective of Hindu goddesses). The approach to honouring the Virgin Mary differs as there is a separate statue for the Hindus to pour oil over, while the Catholics use candles in the veneration of their statue. Hindus can be seen making a gesture of devotion when they pass a cross. Certain shrines and even buses and shops have altars that hold pictures or images representing Hindu and Catholic religions. The ‘zagor’ or ‘jagar’ (a vigil where prayers are offered to the village deity and folk drama is performed) of Siolim has both Hindus and Catholics in attendance. ‘This cross religious worship does not mean that the people give up their own religious identity,’ says Henn. Nor is it a sign of tolerance, as many have their differences. Henn points out the three principles that he believes in reality bind these people of two different religions together. The first is ‘zago’, or ‘place’, which marks off a certain area as the region of a village. There are spirit watchmen that guard the boundaries called ‘rakhno’ or ‘devchar’ who are venerated by Catholics and Hindus alike. Henn says, ‘This zago embraces the community and this neighbourhood continuity ties all religions.’ Since St Anthony comes within a particular zago, he is venerated by Hindus and Catholics. The next principle is ‘vangodd’ which Henn translates as genealogy or clan. It is a way of remembering your origin and creates a sense of belonging notwithstanding one’s religion. The vangodd not only distributes ‘zon’ (a share of the agricultural produce) to all its members, even the Catholic saints get a share. ‘Saude’, or health, is the third principle. It is based on the premise that Hindus and Catholics will cut across religions to seek their well-being. ‘This cross religious activity is more done than confessed,’ says Henn of Goa’s unique approach to religion and refusal to be bound by the constraints of its definition.